I have shared several hunting experiences with my good friend, Anthony Ransom. We enjoy hunting Western style, with big glass followed by a spot and stalk. Over the years, Coues deer hunting has become our favorite species to chase. When I say chase, I mean chase. These deer are elusive, small and their keenly aware demeanor makes them a formidable opponent. Whether you are chasing them with a bow or a gun, I promise you are in for a workout that you will not soon forget. 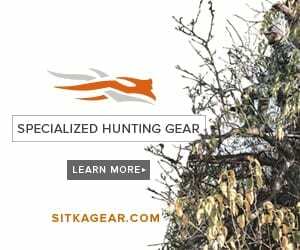 Since our personalities have always comprised thick heads and a strong constitution, anyone who desires hunting the way we do understands the urge to get in the woods. This hunt was no different. With gear packed and lots of time-spent dialing in our 8mm hand-cannons, our plan was in place and we could wait no longer. This southeastern Arizona mountain range was about to test our endurance, patience and our character. We arrived December 18th with a plan to hunt until the end of the season on the 31st, if necessary. Our wives are used to our hunting exploits; thankfully, their understanding of our sickness and their love for us allowed us to maintain our freedom to hunt, even if it meant being gone during the holidays. Now, we had both harvested Coues bucks with our bows in the past, but this was the coveted December rut hunt with a gun. Our goal was to be patient, allow the rut to heat up, and hopefully slay a monster. We also knew that with this approach, we were likely to go home with an unfilled tag. Nevertheless, we have always been about the journey, the entire experience that can be shared for a lifetime—not simply the kill. If it means going home empty-handed, then so be it. After we made camp, our impatience was palpable and our journey was about to begin. We headed off for an evening glassing session with delusions of grandeur, thoughts of smoking two giants just before dark, and then spending the next two weeks drinking beer, playing golf and basking in the Arizona sun. As usual however, it was not to be. Following a short hike and a couple hours of glassing, our first evening hunt had come to an end. Multiple does, two small bucks and one giant just before dark set the stage for what was to be another exceptional trip. We had planned to spend the first eight days hunting together, glassing from mountaintops, into every draw, canyon and wash we could find in hopes of “tagging out” prior to the arrival of our guides, who planned to join us the day after Christmas. After two days of hunting and miles under our feet, we had glassed up piles of deer—mostly does and few small bucks. We had not yet seen anything that was worthy of harvesting on this rut hunt. However, as the weekend approached, so did a big storm, with it: lower temperatures and steady rainfall. This was just what we needed to kick the rut off, a distinct weather change to let the bucks and does know that Anthony and Shawn only had until the end of the month to get this done. After a day and a half of high winds, cold temperatures, torrential downpours and no visible wildlife anywhere in sight, the weather cleared and we were back at it. Each passing day seemed more promising than the last. The does continued to feed, and the young bucks seemed to be on the move. With their noses out-stretched chasing seemingly uninterested partners, we could tell the rut was beginning to heat up. We were privileged to appreciate these majestic creatures in their native habitat, scraping the desert floor, raking mesquite and sparring with one another. By the end of the weekend, we received a text from a hunting buddy who was camped about 10-miles from us and had been hunting since opening morning. He had harvested an absolute monster, a mature 3 by 3 with eye guards and a cool kicker on his right G-2. This was a tremendous buck and for most, a Coues of a lifetime. However, our hunting buddy was an Arizona native and no stranger to the “Grey Ghost” and their sneaky ways. He had harvested multiple big bucks in the past, and we were not surprised that he had taken this big boy. As the days passed, we had yet to put a stalk on a buck deserving of our tag. Our bodies were sore and our feet tired. It seemed as if father time had simply snuck up on us when we weren’t looking and injected us with a big fat bolus of “OLD.” Although we constantly talk about it, we are far too stubborn to let it overcome us. We figured a few more cocktails, a thicker pair of socks, maybe an extra hour of sleep and we would be brand new. Finally, after a day of rest, Christmas came and went, and our guides were to arrive at zero-dark-thirty. As our great friend and longtime hunting guide, Pat Feldt, from Arizona Guided Hunts pulled up in his new Dodge and travel trailer, we joked that we were certain we had paid for his new setup over the years. Pat is not only a spectacular guide with eyes like an antelope, but has become a friend over the years. When things get a little too serious, he never misses an opportunity to ridicule you when you miss a shot or say something zany. His patented statement “maybe next year” is forever etched in my soul from the many missed opportunities over the years. Nevertheless, Pat is a super guy and a tremendous guide. Although, he will walk you to death if you’re not in shape. On this trip he brought another guide to hunt with us, and as a result, from this point on we were going to hunt separately in an attempt to cover more ground and maximize our opportunities. Jake was also a local and was no rookie to Coues hunting. We were in for an exciting final five days. After many more miles and thousands of feet of elevation climbed, we had come to our last full day of hunting. Anthony had spent the last two days glassing a 3 by 3 that measured about 90-inches. He had little desire to chase him but kept his sights on it—a big, old, palmated buck that may not have scored over that magic number of 100-inches, but it had character. After placing the spotting scope on this old bruiser at over 1,000-yards, Pat noticed that the buck had double eye guards. That was all my Anthony needed; it was on. Anthony grabbed his handgun, packed his gear and was off. Although this buck was only 1,000-yards away, the only way to get within reasonable shooting range was to approach him from the cliff above where he was bedded below. Unfortunately, this would constitute not only a couple more miles hike, but about a 2,000-foot change in elevation too. One and a half hours later, with a couple hundred yards left before he could prepare for the shot, Anthony made his final stalk. In position and ready, it became clear that although the shot was just over 160 yards, it was virtually straight down from the edge of this cliff. We had both been in these situations before when a shot like this could easily be missed by underestimating the angle of trajectory. After some quick calculations, he decided to hold dead on at 116-yards. After holding his position for at least an hour and a half, something in the canyon seemed to disturb the buck. As he moved to his feet, Anthony made a perfect shot directly down through his mid back with the pistol bullet tracking and exiting just under his chin. This gives you an idea of just how steep of a shot this was. The old boy folded his legs and dropped in his tracks never to take another step; Anthony had made a quick and humane kill. After approaching this great southern Arizona trophy it became clear that he was much more than an old fork with a double eye guard. He appeared to be a 6–8 year-old buck with heavy, palmated main beams and stickers coming off everywhere. He was effectively a 6 by 5 with a double eye guard and character that you could go a lifetime and never see. Anthony had a smile that couldn’t be wiped from his face. While the boys were hiking back to camp in the early afternoon—after a job well done—Jake and I decided to trek multiple miles into the backcountry in hopes of finding that lone, big buck who wanted to avoid the pressures of other hunters or other overly ambitious, less nocturnal young males. It was about that time, when removing your pack and crawling up under an old oak tree for an afternoon siesta seemed more productive than glassing for deer. However, this was effectively my last day and we weren’t going to waste a single minute. Around 2:15 PM, we began glassing under the sparse oaks that riddled the mountainsides in hopes of locating a bedded buck. As luck would have it, we glassed up a deer nestled in the dark under-brush of a large oak, 400-yards away. After looking at him through our 15 X 56s, we decided to put the spotting scope on him. “Wow, that’s a great buck,” Jake exclaimed. The buck had heavy main beams, and appeared to be a mature 3 by 3 with eye guards. After a lengthy discussion about quality and size, we knew he would be a solid mid-90s buck. Although not the 100-incher I was hoping for, we were at the 11th hour on the eve of our final day. I decided this was my opportunity and it was time. We ranged the buck at 400-yards from our vantage point. It was almost impossible to close the distance, and I felt comfortable making the shot. I knew the downward slope was steep, but it wasn’t until Jake said, “you shot over him” that I appreciated just how steep it was. Lying prone with my bipod open, I jacked another round into my 8mm WSM single-shot pistol. I placed my 400-yard ballistic reticle at the bottom of his chest as he laid in his bed and again shot over him. Unfortunately, I’ve been here before and have always taken pride in maintaining my composure during times like this. Quickly I adjusted my position, and attempted to set my sights on him. He stopped broadside briefly, but then began to walk away from us, giving me a steep, quartering away shot at 425-yards. This time my adjustments and aim were true, and I put that 160-grain Barnes TTSX exactly where I wanted it. “You hammered him,” Jake said, as the buck disappeared just over the hill. After my hands stopped shaking and my heart rate returned to normal, Jake and I discussed the shot for a while. We felt like it was a solid hit and after waiting for a few minutes, it was time to pack up and try to go find him. Jake stayed behind to keep an eye out for the buck. As I approached the area, I noticed a sotol cactus completely covered in blood. After tracking the blood trail for 20-yards, there he lay, my trophy—the reason we spent 14 days working so hard and being so patient. I was overcome with joy and sharing it with Jake was perfect. This was a “hard earned trophy,” Jake said. Back at camp just after sunset, everyone anxiously waited to swap stories and show off their trophies. This is what we came for and now was the time to kick off our boots, put down our handguns and drink a toast to the beautiful southern Arizona Coues bucks that sacrificed their lives for us. After a spectacular dinner and a couple hours of celebrating, our old friends, our guides made their way for home. They had another hunt starting in 24-hours and an opportunity to spend a night at home was a luxury they were often not afforded. We parted ways with hugs and gestures of good will until the next time our paths cross for another adventure of a lifetime. Now you may think that our hunt was over at this point; however, I failed to mention that four of us drew this tag this year and two of our best hunting buddies had joined us on this hunting excursion. We had one morning left for our pals, Marty and Bruce. They had been on multiple great bucks over the last week, but as a true Western Coues hunter knows, getting on them isn’t even close to sealing the deal. On the final morning, we set out to a location where we knew we would find bucks and being the unselfish hunter and mentor that Marty has always been, the three of us decided to try to get Bruce his first buck in 19-years. We immediately glassed up a little buck at 840-yards. Without hesitation, Bruce was off for a final Coues stalk. After two hours of hiking, crawling and lying in wait, his opportunity came and he capitalized on it. Our third buck was down. His dry spell had come to an end. It was a seemingly perfect way to end a perfect trip. After returning to camp in the early afternoon of the 31st, we all just looked at one another proud of what we had accomplished, but sad that another chapter in our lives had come to an end. The days pass so fast. The treasures that come with each sunrise and sunset are so precious. If we could simply slow down and appreciate the moments of our lives the way we appreciate every second in the woods, our souls would be overflow with memories and gratitude that a life like ours so graciously offers. As we drove away to the “world of reality,” I thought to myself. I couldn’t wait until my hunting family and I would be able to come together again to share another new chapter and create more of life’s memories.